Some of my regular daily features will be taking a break for the rest of December. I honestly didn’t get anything exciting in the mail this week, so I thought this was a good time to announce that I’d be taking a much-needed break for the holidays. I normally push myself to write them each morning by getting up before the rest of my family. I’ve got a big project to work on (unrelated to Freebies 4 Mom) that I’ve been postponing all year, and I’ll be working on that most mornings now. I will still be posting new things on most days. I will still be posting some of my daily features, like Freebie Friday, but want to give myself the flexibility and option not to post most of them during this break. I’ll still be bringing you more giveaways, a new one every day this week. Thanks in advance for understanding that I need to take a break too sometimes! Things will return to normal in January. We all need to remember to slow down this time of year! Thanks for all that you do, and enjoy the holidays! Enjoy your break, Heather. You totally deserve it! Heather, what a blessing you have been to me and ssoo many other Moms. PLEASE, take a break and enjoy your family during this glorious season. Enjoy your break! I have enjoyed your website so much. 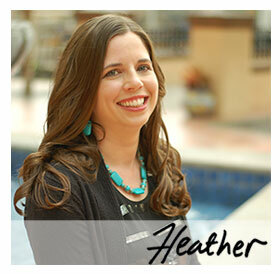 Heather, your blog is one of my favorites! Enjoy your break over this busy time of year – THANK YOU for all you do!! Heather, That is great, enjoy your break hopefully you can “sleep in” one of these days too! Have a wonderful Christmas and break you deserve it!